But what drove Zenith Steel to become a forerunner of technology? “We wanted to change with technology!” explains Raheem Biviji. “Most of the large companies use Tekla Structures. So that’s what we wanted too. I found the possibilities of new technologies by visiting many steel exhibitions. I also read a lot and stay well aware of the industry trends. There is a lot of talk of Tekla, how it is abreast of the industry. We took a decision to go with Tekla,” Biviji tells, satisfied. 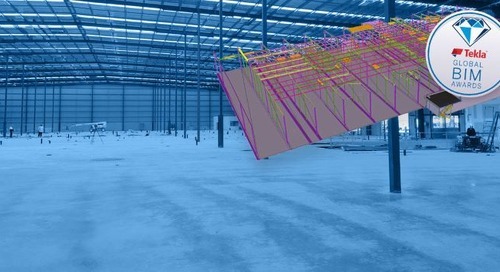 “The use of BIM is of great significance in managing and coordinating subcontractors. In particular, it is easier to detect clashes between the main steel frame and MEP services. Once clashes are identified, they can be discussed, and solutions can be given during site coordination meetings,” Biviji explains.